Spring is officially here and if your house still looks like a playpen for dust and dirt, it's time to let the light in and give your pad a spring cleaning detox. Along with warmer weather and blooming flowers, spring may also bring irritating allergies. Inside your home, pets, dust mites and even mould can cause common allergic reactions, according to Canadian Living. But cluttered winter homes can easily be freshened up for spring. And before you start decorating, consider making it healthier, eco-friendly designer and HuffPost blogger Robin Wilsonsaid in a press release. Often, the dirtiest or germiest places in our homes aren't actual places. Television remote controls, computer keyboards and salt and pepper shakers are some of the worst hot spots for germs, according to WebMD. And what's even worse, things we use everyday — including our handbags, doorknobs and light switches — are probably some of the reasons we're getting sick, says ABC News. Haven't changed your shower curtains in months? This is probably a good place to start your spring cleaning. Vinyl curtains are easy targets for mould, says eco-friendly designer and HuffPost blogger Robin Wilson. Instead, try nylon curtains: they are less expensive and easier to clean. If you suffer from allergies or asthma, Wilson recommends using synthetic pillows over feathered ones. Also, remember to wash your pillow cases once a week and replace your pillows every three years. "Cover your mattress with a hypoallergenic cover and wash it every two months," she adds. For walls, try buying "non-VOC" or 'green" paints. "Use paints that won't leave an obnoxious paint odour and stir up asthma or allergies," Wilson says. In fact, she adds, "greener" paints still leave a rich hue on your wall. Wilson says to avoid wall-to-wall carpeting to make your carpet cleaning even easier. 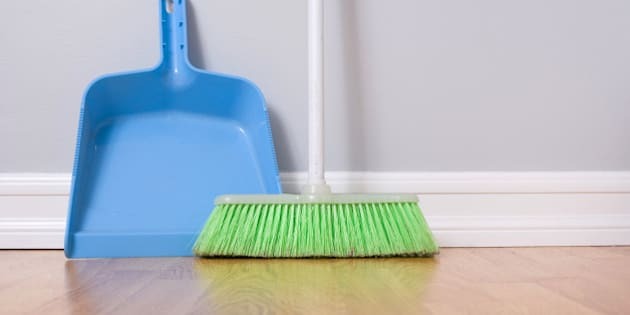 For spring, give your hardwood floors a full mop or steam the carpet. Check for mould in areas you usually wouldn't: In dishwashers, under the refrigerator, and regularly change your water dispenser and ice-making filters. One of the biggest trends is eco-friendly cabinetry, Wilson says. These cabinets have no formaldehyde adhesives (a common compound found in adhesive products) and can be easier to clean. Another tip to consider: Try frameless cabinets to avoid collecting additional dust. To get rid of dust mites, wash or freeze your child's stuffed animals. If you're worried about getting your sofas or chairs dirty, consider using slipcovers that can be washed regularly. The easiest way to get rid of dirt? Don't bring it in. "Always take off your shoes when you enter your home to prevent the outside world from coming in," Wilson says.